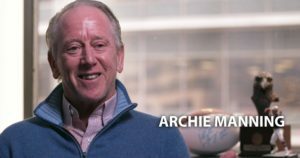 Archie Manning’s legend was launched on the Bayou in 1968, when he led the Ole Miss Rebels to a 27-24 comeback victory over LSU in Tiger Stadium as a sophomore starter. But his biggest wins as a Rebel to come wouldn’t happen in Baton Rouge or Tuscaloosa or even Oxford, but in Jackson, inside the monolith of Mississippi Memorial Stadium. Manning’s Rebels were 7-1 in the capitol city in his career, and never lost an SEC game there. 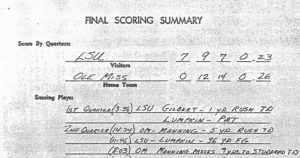 No win was more significant than the rematch with LSU in 1969. The Tigers were a better version of the team Manning had beaten in Baton Rouge the previous season. Led by coach Charles McClendon and All-American Tommy Casanova, the Tigers pulled into Jackson undefeated, ranked in the Top 10, with designs on a national championship. “They were better in ’69. They had good players on both sides of the ball. A lot of people say that was the best team Coach McClendon ever had,” Manning said. 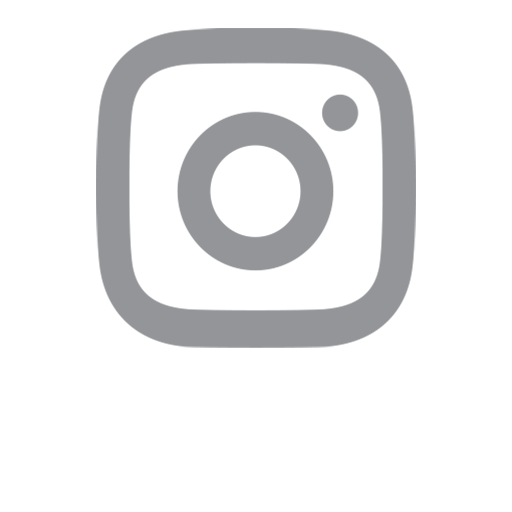 But Manning authored another comeback victory with two rushing touchdowns in the third quarter to put Ole Miss on top 26-23. It was just enough. Did the victorious Rebels stay in the capitol city to celebrate? You betcha. Manning offered this tidbit with a wry grin.